Have you ever been to an industry event that transcends the event itself? Exceeds all expectations? Stamps a date on the annual calendar for those who can then proudly say they “were there”? 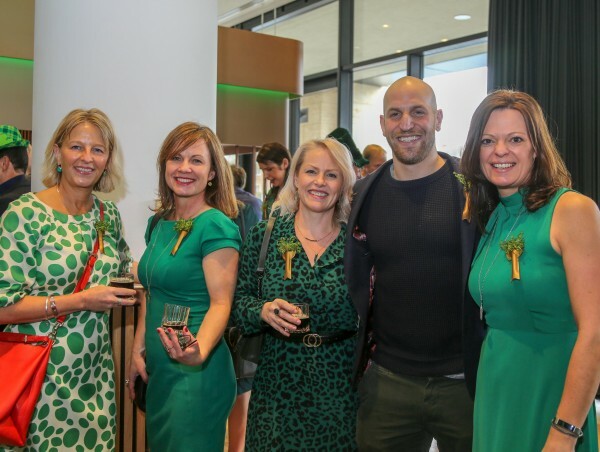 Friday March 15th 2019 at King’s Place was just such an event and we at Troika are so very proud to have co-sponsored along with Green & Fortune the Pre-St Paddy’s Day Luncheon- or “Gathering” as we like to now call it! Inviting the movers and shakers from the Hospitality industry and of the Irish persuasion together with honorary “Greenies” to support The Clink and The London Irish Centre, a festive spirit was immediately awakened with arrival Black Velvet tipples and shamrock button-holes. Friends new and old introduced to friends old and new, resplendent in their green attire chatted animatedly whilst having a charity flutter or two on the Cheltenham Gold Cup Races. Why not?! John Nugent then welcomed the gathering into Rotunda Bar and Restaurant, with its glorious canal views and perfectly pitched service, for what was a truly scrumptious luncheon! Starting off with fried oysters, smoked salmon and Irish soda bread, followed by Guinness braised beef shin and finishing with Jameson infused poached rhubarb and a selection of Irish cheeses all paired with copious splashes of delectable wines- a potent combination for this generous crowd! The auction went well… it very well indeed! Donated gifts such as an overnight stay at The Ned, a trip to Amsterdam, a bespoke Ed Sheeran album cover, Man U tickets and a big enough side-o-beef to feed an Irish Rugby team enticed the Gathering to dig deep and, at times, to fiercely compete for said items! 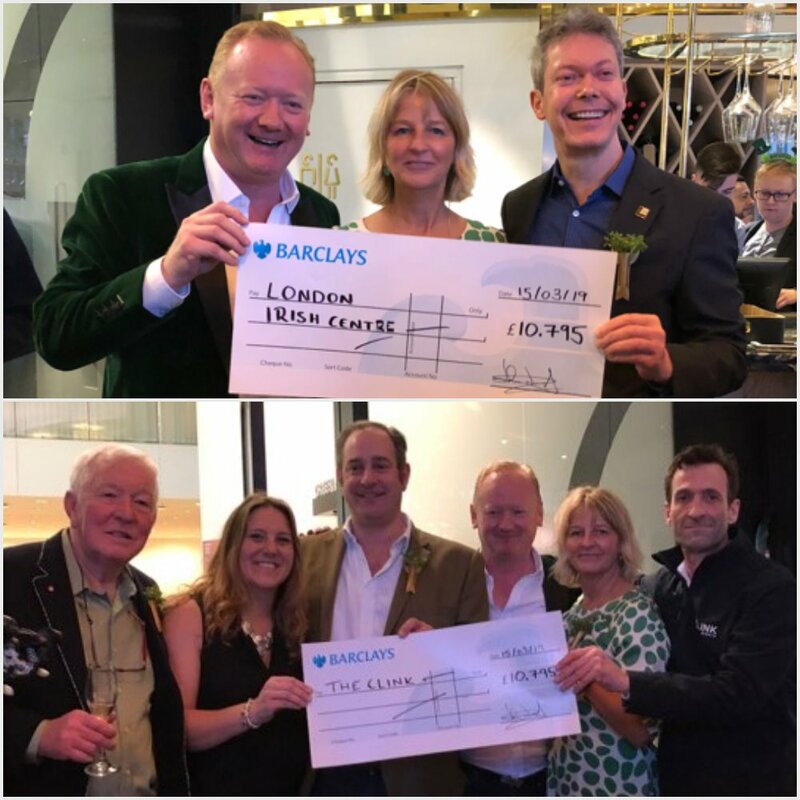 In the end, over £20,000 was raised that day for our two worthy charities, firstly our best friends The Clink and also The London Irish Centre, based in Kings Cross, a truly epic achievement by all involved! As darkness was falling, music was rising and the craic really kicked off! Some brave souls (including our Suzie) put their hand to a touch of sabrage on the terrace whilst inside others lent their singing voices and dancing feet to the very talented stylings of band, The Phoenix Collective. We jigged and toasted to continued health and happiness; we sang and danced some more! And the merriment continued well into the night (and next day for some!) making this an event to remember….. and to repeat. We were there.